something that deviates from what is standard, normal, or expected. ...parred 4 holes - both of the par 3's, then #6 the short par 4, and #8, a 330 yard par 4...bogeyed 2 others, and double bogeyed the other 3. 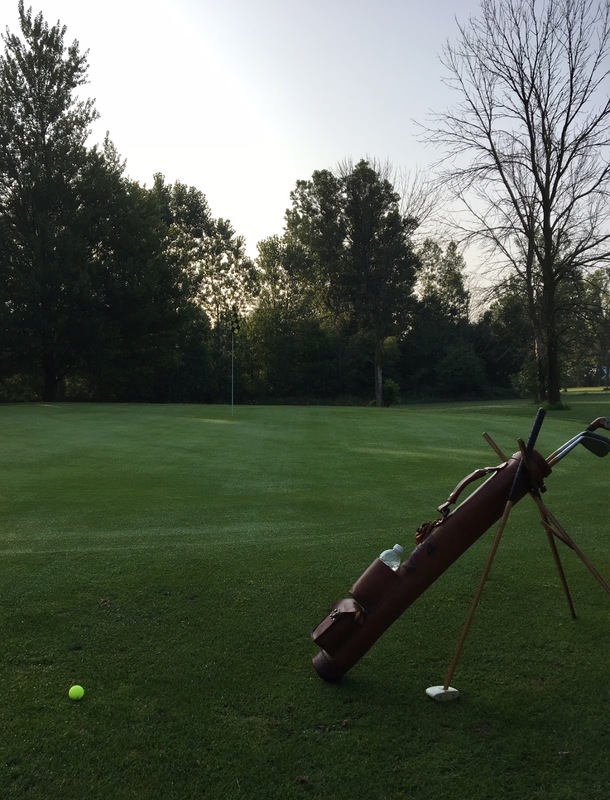 I was using my mid-iron off the tee and for whatever reason it made sense and felt right today...hit it consistently between 160 and 180 yards...even hit my mashie 160 yards on #8 and 1 or 2 putted most greens. It's nice to know it's at least possible to do, frustrating to not be able to do it with any consistency. So I know this is an exception...next time out I will most likely revert to my normal round, where if I happen to snag a par somewhere along the way it will have been a good outing. But like all blessings, I'll take 'em when I can get 'em and today was one of those days. The romantic backstory is a little bit hokey, but overall the film is well done and an interesting tour of the continental US by bus...starts off with a stop in good o'l Holland Michigan with a few shots of Tulip Time preparations. In any event, this is worth the 30 minutes of your life it will take to watch it. Enjoy.